Bologna is known as the fat. The city is characterized by a particularly hearty and flavorful culinary tradition, here below you will find some of the best restaurants throughout the city and surrounding areas. The Best restaurants in Bologna to eat the regional specialties. Al Pappagallo is an historic restaurant to eat the local cuisine of Emilia-Romagna. It is located downtown, just close to the two towers. It pays tribute to local recipes but sometimes they are revisited with a contemporary twist. It is has been opened since 1919 (check the suggestive photographs on the walls). Within the city center there is another restaurant that allows you to enjoy the best dishes of the Emilian tradition namely Trattoria Pizzeria Delle Belle Arti. 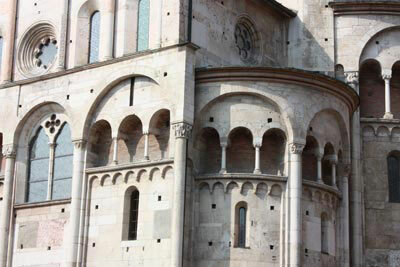 The restaurant is located inside a palace dating back to the fifth century and it is not far from the university area. You will be welcomed by the owners, the 2 Favaro brothers. In the menu you will find dishes ranging from lasagna bolognese, tortelloni with porcini mushrooms or meat sauce. Just outside the old town you can find several restaurants serving local cuisine. For example in San Lazzaro Di Savena you can try the Antica Osteria dell’Oca. The chef has been awarded several times with prestigious awards. For those who come here should try the hand-rolled pasta, tortellini with meat sauce and tagliatelle noodles, as well as ravioli stuffed with guinea fowl and black truffle. You can also try the main meat dishes that apparently are very good! Emilia Romagna is also home to the restaurant La Bottega di Franco. It is located in an old manor house just outside the city center. People come to enjoy delights such as mortadella mousse, tortellini and ravioli squacquerone cheese, pancetta, black olives and rosemary. In the surroundings of Bologna, one the best restaurants to eat the Emilian cuisine is la Corte dei Molini located in the town of Castel Maggiore. It is born from the idea of combining the rich local cuisine with an extensive wine list, it is like paying tribute to the rich heritage of the territory by offering the famous crescentine combined with regional meats and cheeses. Here you can not miss the Lambrusco . What the Bolognese eat in the best restaurants in Bologna ? The restaurants of Bologna are particularly famous for their homemade pasta that is stuffed or simply made into strings or shapes and served with a variety of sauces. In some restaurants you can still find a the sfoglina. She is the person in charge of creating the dough by hand, and she literally manufactures all the fantastic dishes that Bologna is famous for. In fact Bologna is the only city that has even a school to learn how to make tagliatelle namely La Vecchia Scuola run by pasta chef Alessandra Spisni . In Bologna among the most common types of pasta you will find noodles or tagliatelle. The recipe specifies that each string needs to be 8 mm wide and less than a millimeter thick . In the first gastronomic book of united Italy (Science in the Kitchen and the Art of Eating Well , 1891) it states that the noodles have to be long and never broken. In the restaurants of Bologna are almost invariably topped with Bolognese sauce, and the recipes change from restaurant to restaurant. Sometimes the meat sauce is prepared only with the beef, for others the recipe also includes pancetta, and sometimes a combinations of chicken and pork . However the chefs all agree that the cooking should be slow and last for at least 3 hours. Another classic of Bologna cuisine is the tortellino which is also one of the most popular dishes of the Emilian cuisine. The legend narrates about its shape that has been inspired by the navel of a charming aristocrat. It seems that originally the tortellini was a dish of the poor, it was created to reuse meat scrap which was wrapped in a thin sheet of pasta. The best restaurants in Bologna serve the tortellini strictly in a broth made with capon and beef. Friggione is another dish from humble origins that you will find in the he menus of the finest restaurants in Bologna, it is is often served as a side dish. 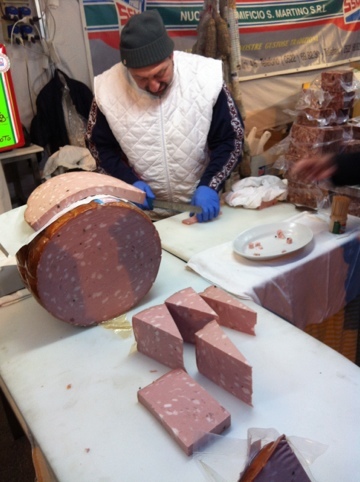 Not to mention the mortadella of Bologna which enhances the Bolognese restaurant menus and it is turned into delicacies such as mortadella mousse (made with mortadella, ricotta cheese, parmesan cheese and cream). Mortadella often accompany fried dumplings. In Bologna these are called crescentina fritte. I hope that this short guide will help you choosing the best restaurant and the most traditional food from the area. The guide is a rough translation of this article.